Tools you can start using for free, and upgrade as you grow. HubSpot is more than just software. You don’t have to go it alone. 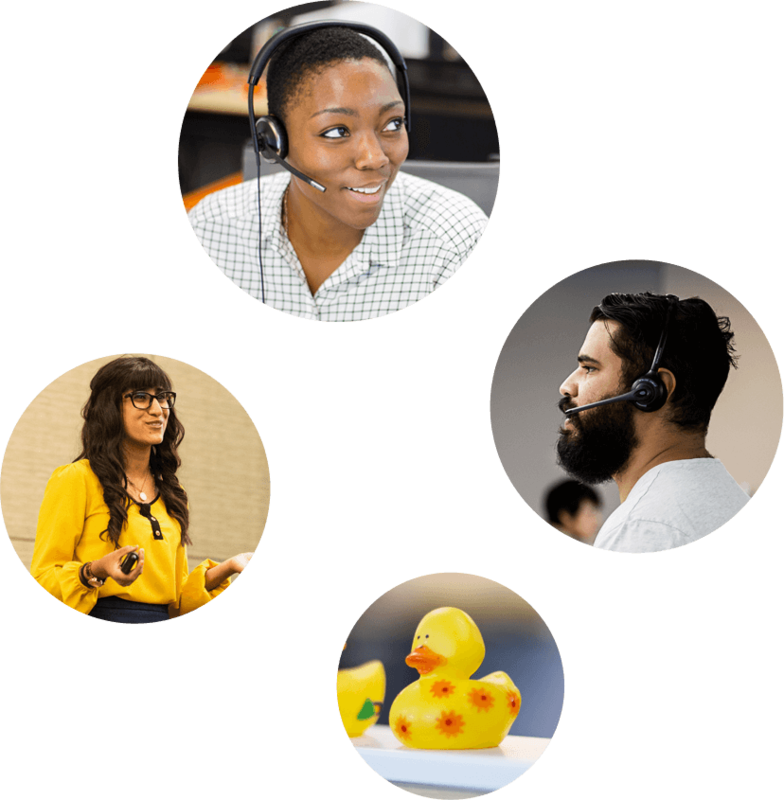 HubSpot’s award-winning customer support and services teams are here to answer your questions, help you master the inbound methodology, and make sure you’re getting the most out of your tools. All that — plus our detailed help documentation, educational resources, and training programs — means you’ll never feel left out in the cold. Do I need to buy onboarding services? All new Marketing Hub Professional and Enterprise customers need to buy services to get started on the right foot with your inbound marketing efforts. Inbound marketing is about much more than just using a bunch of software to get marketing done; it’s about transforming your business to create marketing people love. That’s much easier to do in the thriving ecosystem of HubSpot customer training programs, and with the personal support of our famously passionate inbound marketing professors and consultants. Are there any separate email sending fees? No. Your email send limit is based on the number of contacts you purchase. In Marketing Hub Starter, your email send limit is five times your contact tier per calendar month, and in Marketing Hub Professional and Enterprise, your email send limit is ten times your contact tier per calendar month. That works out to about one email per week for Marketing Hub Starter and one email every other business day for Marketing Hub Professional or Enterprise. If you need to send even more than that, you can purchase more contacts and increase your total monthly email send limit. Do I need to pay for a year up front for Marketing Hub Professional and Enterprise? Marketing Hub Professional and Enterprise contracts are billed annually by default. We’ve found that customers who can commit to a full year of using HubSpot will be more successful inbound marketers in the long run. And since your long-term success is our goal, we want to encourage those practices that support that goal. Not directly — but HubSpot's pricing is designed to scale with the size of your business, so we suggest that you purchase a plan that will fit your level of use. This means purchasing enough contacts to match your inbound marketing needs. So while we don't charge "overage fees" as such, if you expect your database or email needs to grow over time, you'll need to purchase additional contacts to match that growth as it occurs. What type of support is available to Marketing Hub users? All Marketing Hub users (free and paid) have access to the HubSpot Community at community.hubspot.com for support. The mission of this inbound community is to provide users with a vibrant channel to ask questions, find answers, and engage with professionals from around the world about HubSpot software best practices. Users of Marketing Hub Starter have access to email and additional in-app support options. Users of Marketing Hub Professional and Enterprise also have access to email and additional in-app support options — plus phone support. This means HubSpot customer support specialists are available to answer your questions. Can I collect unlimited contacts/leads using HubSpot's free marketing tools? You can collect up to 1 million contacts using HubSpot’s free marketing tools and HubSpot CRM at no cost. If you need additional contacts past 1 million, please contact us. Just be aware that if you use HubSpot CRM with one of our paid marketing software plans, the contacts you add to the CRM end up in both places, which could affect your marketing software plan’s contact tier pricing. For more detailed information on product packaging and the limits that apply, please see our Product and Services Catalog here. software can help your business?